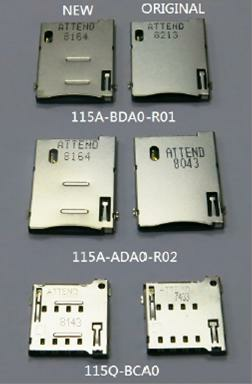 Lately manufacturers have been facing challenges regarding pre-cut SIM Card Plastic cards which often have a smaller thickness than the standard thickness of 2FF and 3FF cards, as shown in the table below. The 3 most common formats for pre-cut cards are (as seen in list above) 2FF-4FF, plastic cards manufacturers tend to deliver cards with the thinner thickness (4FF) driven by the high volume consumer electronics market . This may cause contact issues for Embedded System and Network users who use 2FF and 3FF form factors. For most private users, the issue described is not a problem as cell phones nowadays use 4FF format. However most of the equipment deployed and still produced for the professional use such as, Machine-to-Machine (M2M) applications are based on 2FF or 3FF card sockets. Business users need new SIM cards for new deployments or for switching mobile providers, needing to use the 2FF or 3FF out of the pre-cut shipped to them. If pre-cut plastic cards are out of specification due to them focusing on 4FF thickness, SIM cards may malfunction due to bad contacts. Attend Technology, together with a key customer, worked out a simple but clever solution which solves the problems. 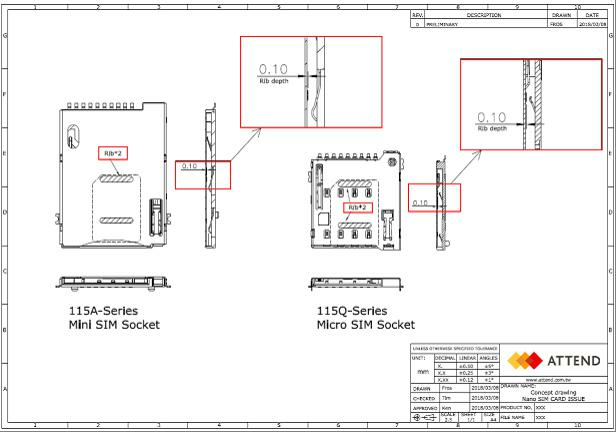 Our SIM card sockets can accommodate 2FF to 4FF thickness types of plastic SIM cards which allow OEM companies to develop products for M2M and IoT covering also non-conforming SIM card plastic cards. non-conforming SIM card plastic cards.